We are waiting for arrival of the Alfa Romeo 4C on the U.S. auto market in summer. 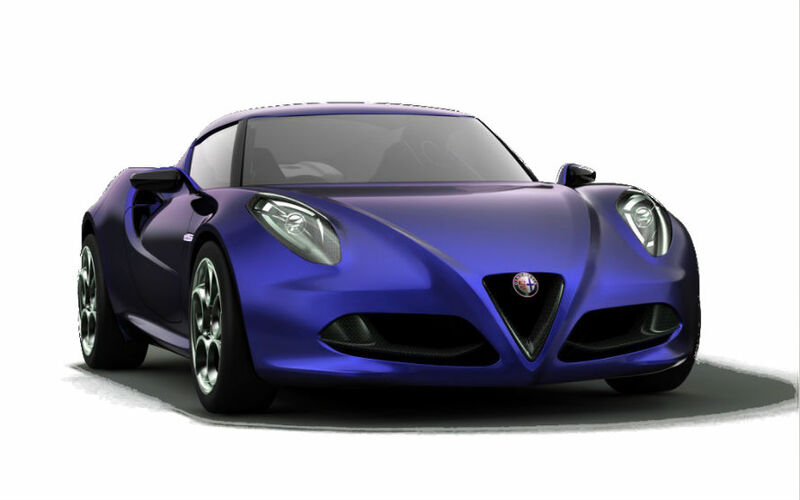 The Italian auto manufacturer announced its return on the American market with its sports car –a new Alfa Romeo 4C. The novelty will appear in the U.S. this June. The carmaker plans to sell a new car in both Fiat and Maserati dealer rooms. The 4C is expected to cost about 54,000 dollars. The auto manufacturer plans to launch nearby 3,500 vehicles annually, which will be imported into American auto market. The version for the American auto market is heavier a regular car produced for other markets by 220 pounds. The novelty put on weight due to using more aluminum in construction according to the American safety requirements. In addition, the car will get some changes and new details in fuel part. However, the 4C is a compact car and a chassis made of carbon fiber. We are expecting this novelty will be good controlled. The new model is equipped with the 1.75-liter four-cylinder turbocharged engine with direct injection; this powertrain produces the output of 240 horsepower. Moreover, the novelty gets the seven-speed gearbox with dual-clutch. The 4C’s powertrain is able to accelerate a car from 0 mph to 60 mph in just 4.5 seconds; the maximum speed is 155 mph as well. We are impatiently waiting for returning of this sports cars brand on the auto market in America.